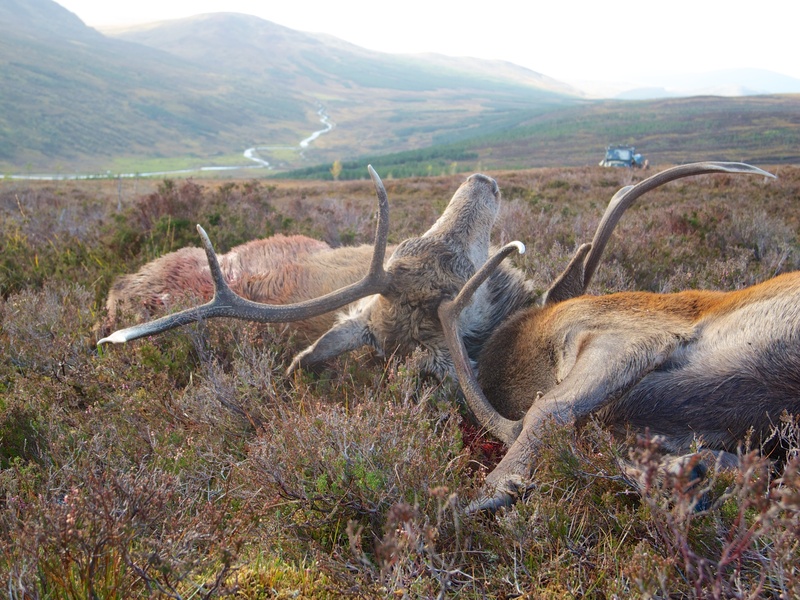 These stags have just been shot on Croick Estate as part of the seasonal deer management process. They are awaiting collection from the ATV in the background to be taken down off the hill to the road and then back to the deer larder. Posted in Photography, Scotland and tagged Croick Estate, deer stalking, Highlands, photography, red deer, Scotland. Bookmark the permalink.